Step Up Revolution star tWitch talks exclusively about the massive difference in tone between Step Up 3 and Step Up 4. tWitch also talks about what inspired him coming up and how different it was than the So You Think You Can Dance and Step Up infested world now. Step Up Revolution stars Ryan Guzman and Kathryn McCormick take us exclusively into the film that promises to make Miami look like dance central. The MMA fighter and the SYTYCD alum joined forces to anchor a Step Up film unlike any previous. 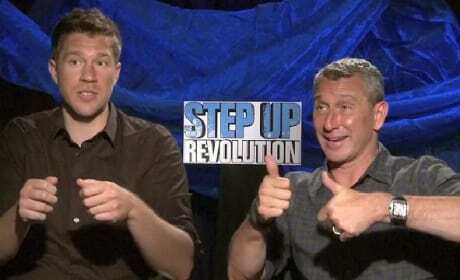 Step Up Revolution producer Adam Shankman and director Scott Speer exclusively talk about their latest effort in the Step Up franchise. The So You Think You Can Dance judge promised a Step Up film that will blow your mind. Step Up Revolution star tWitch and the film's choreographer, Jamal Sims, take us inside the flash mob-based dance fest that is the fourth Step Up film. tWitch is back in the Step Up world after his turn in Step Up 3D.